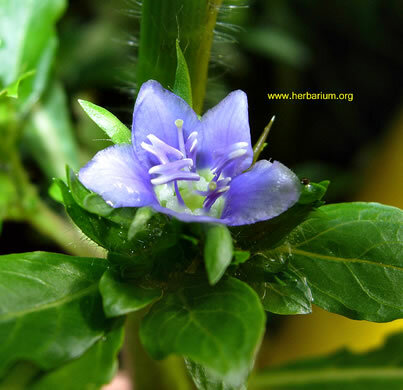 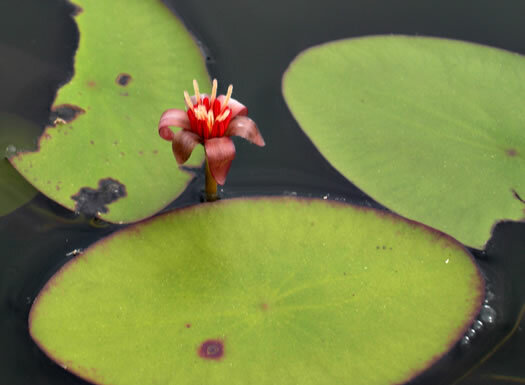 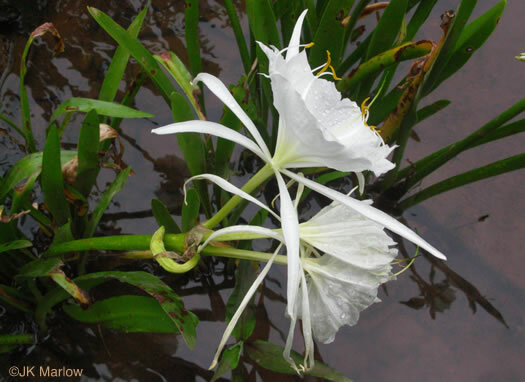 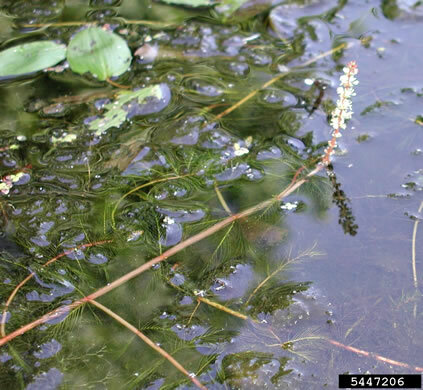 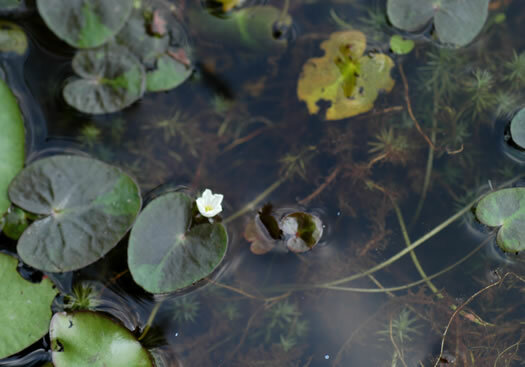 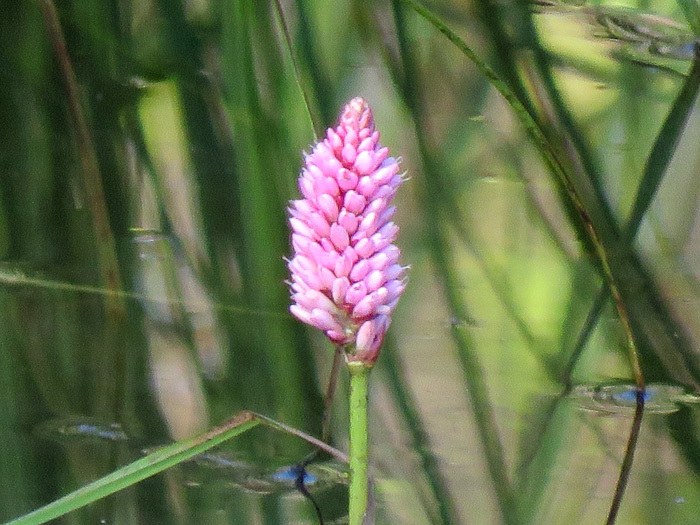 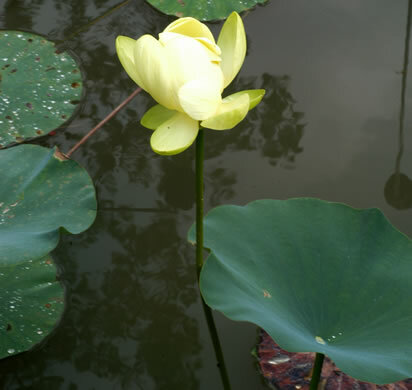 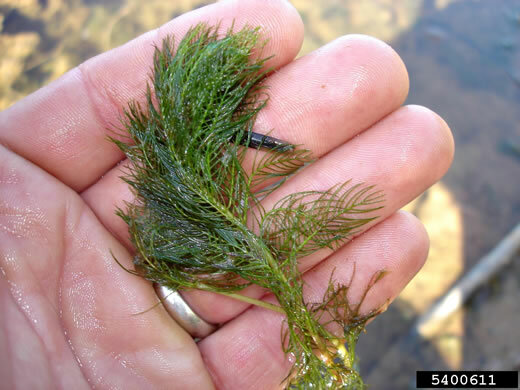 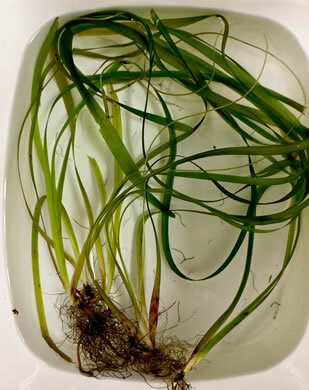 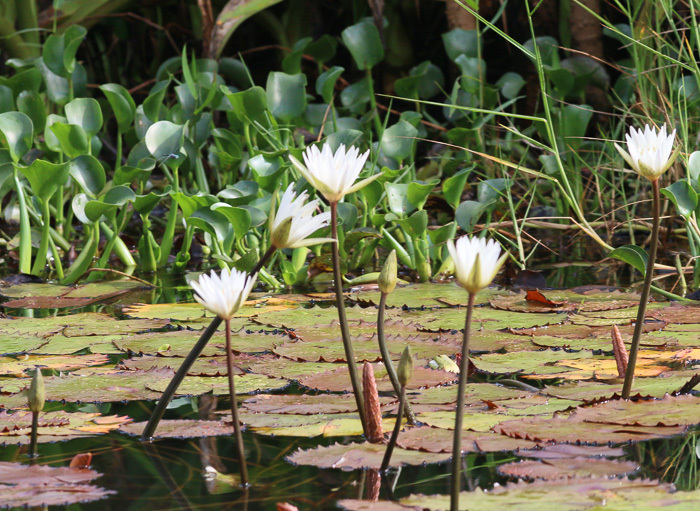 Your search found 111 image(s) of aquatic plants. 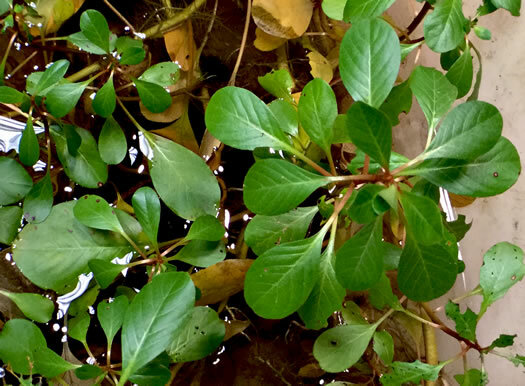 Plants dark red to green, free-floating, ca. 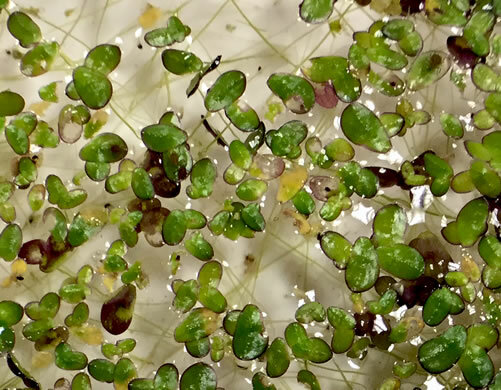 1cm wide, often in dense mats, per Vascular Flora of the Carolinas. 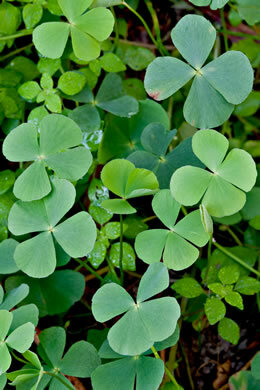 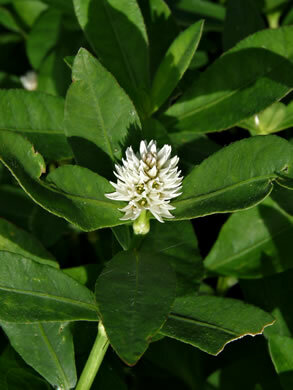 Leaves clover-like, the 4 leaflets borne at the summit of the petiole, per Weakley's Flora. 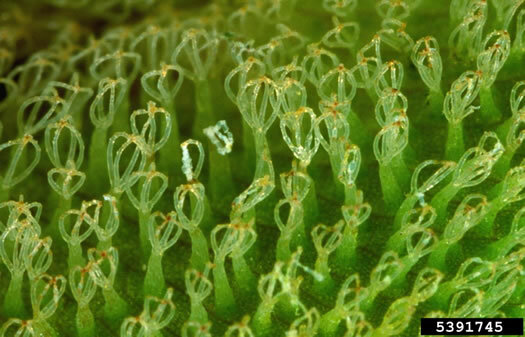 Hairs of upper leaf surface w 4 free, spreading branches [not joined at tips], per Weakley's Flora. 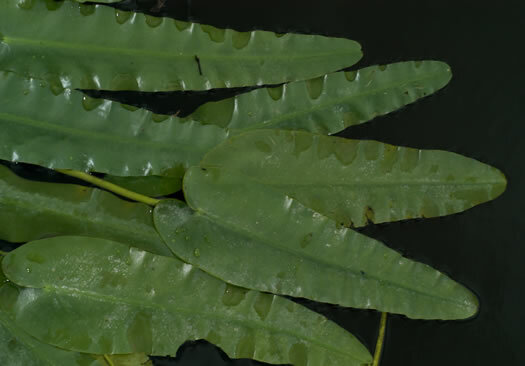 Leaves entire, about 1cm in diameter, round or oval with a cordate base, per Field Guide to the Ferns and Other Pteridophytes of Georgia. 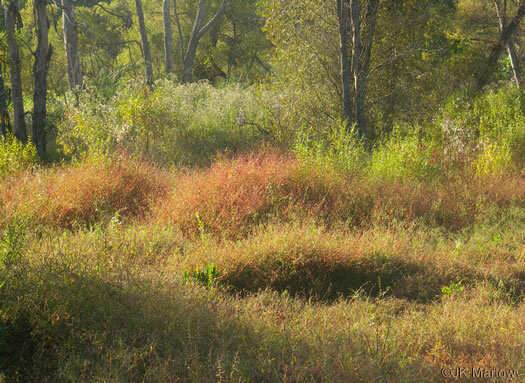 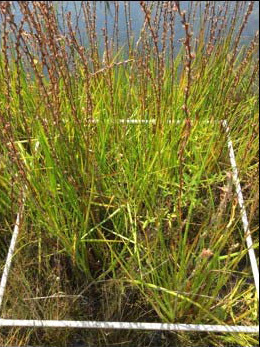 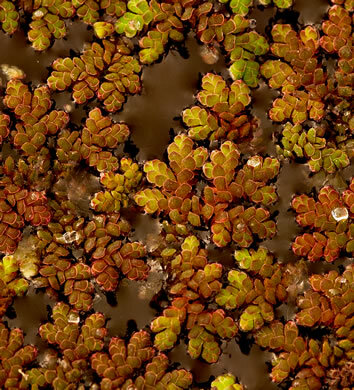 Dense, rapidly growing surface mats block sun to bottom plants and animals, per Invasive Plants, Guide to Identification, Impacts and Control. 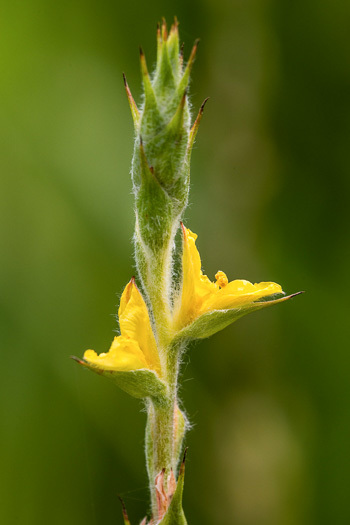 Hairs of upper leaf w 4 branches joined at tips, forming a cage-like structure, per Weakley's Flora. 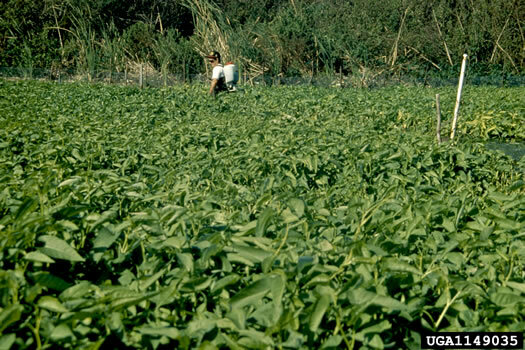 Shade-grown leaves lie flat; sunlight and crowding cause crumpling, per Invasive Plants, Guide to Identification, Impacts and Control. 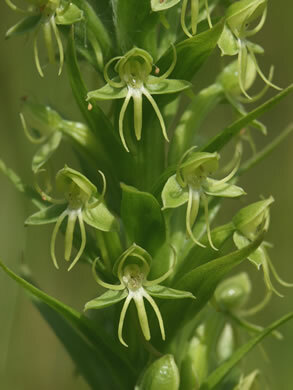 Flowers are in dense globose heads - staminate above and pistillate below, per Wildflowers of the Southern Mountains. 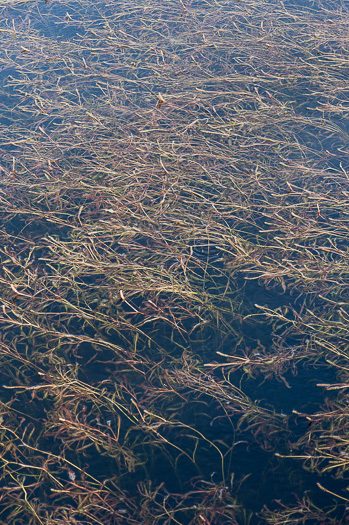 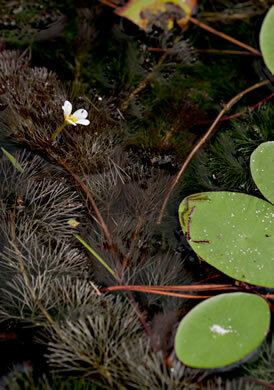 Floating leaves usually present; submersed leaves flat, linear, non-spetate, per Vascular Flora of the Carolinas. 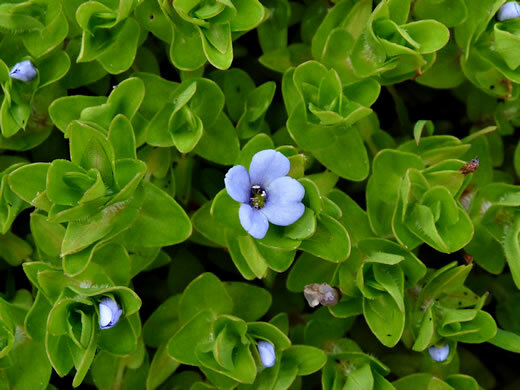 Easily recognized by the wavy edges of its flattened dark green 1-4" leaves, per Invasive Plants, Guide to Identification, Impacts and Control. 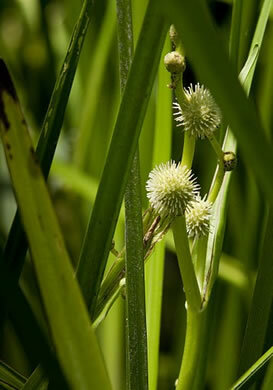 Leaves at many nodes along the stem, per Weakley's Flora. 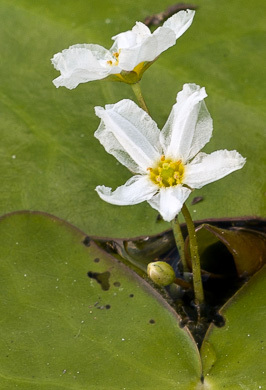 Three whitish petals & many ovaries in a circle on a flattened receptacle, per Wildflowers of Tennessee, the Ohio Valley, and the Southern Appalachians. 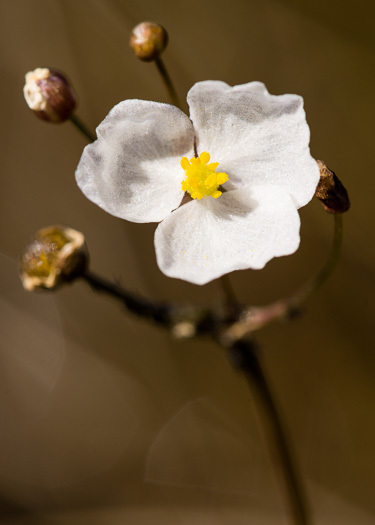 Flowers on slender 1" pedicels, in whorls of 5-15 at widely-spaced nodes, per Wildflowers of Tennessee. 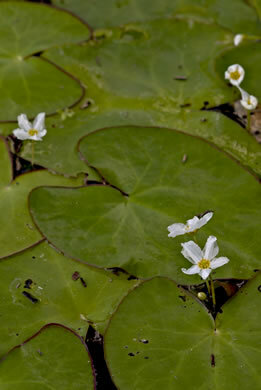 Flowers usually in 2-4 whorls of 3, upper usually staminate, lower pistillate, per Vascular Flora of the Carolinas. 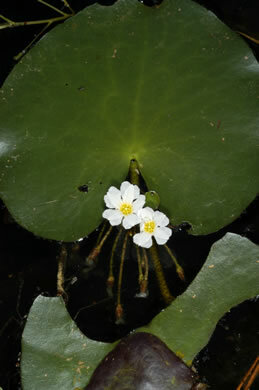 Upper flowers are staminate, per Wild Flowers of NC, 2nd edition. 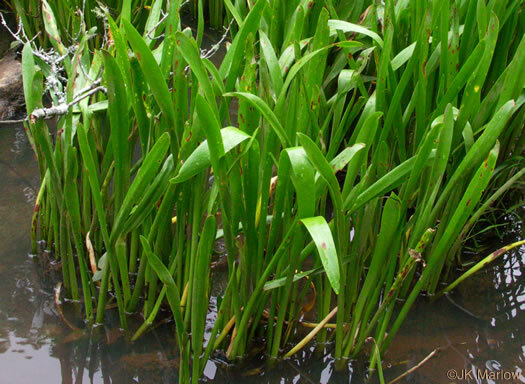 Leaves lanceolate to broadly ovate, emersed [rising out of water], per Flora of North America. 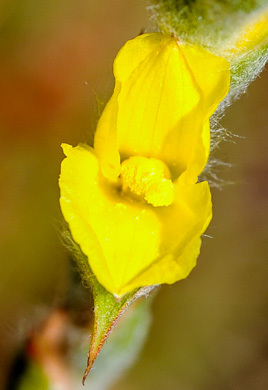 Flowers in whorls along the stem, the lower pistillate, per Wild Flowers of NC, 2nd edition. 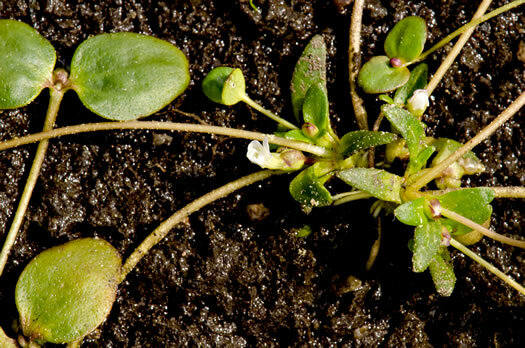 The leaves vary from broadly to very narrowly arrow-shaped, per Newcomb's Wildflower Guide. 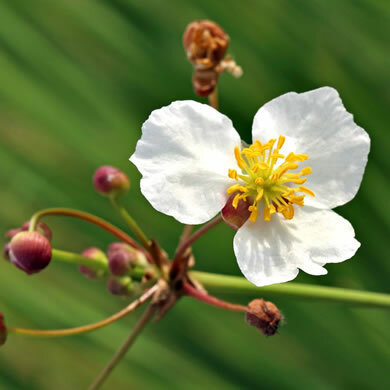 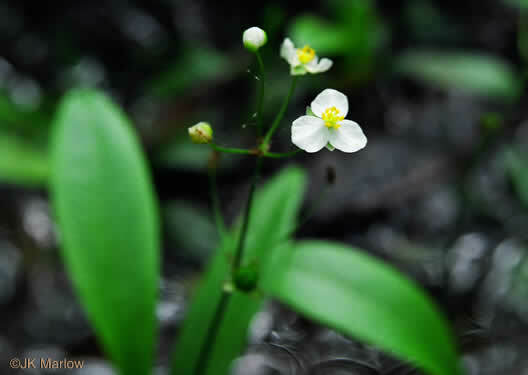 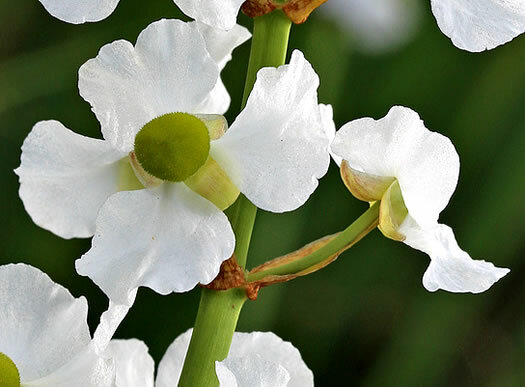 Showy white flowers with 3 petals, the lower flowers usually female, per Wildflowers & Plant Communities of the Southern Appalachian Mountains and Piedmont. 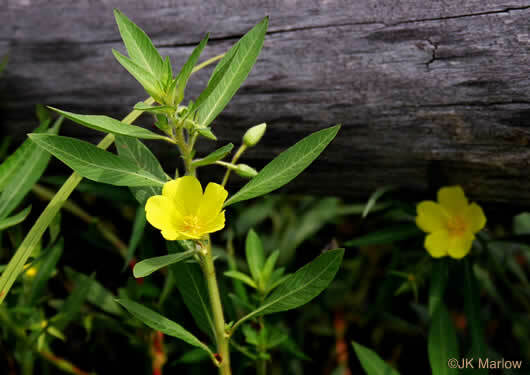 Leaves mostly 2-3cm long, finely toothed w slender, weak teeth on the margins, per Weakley's Flora. 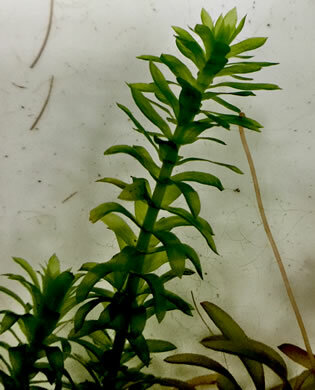 Leaves straplike, elongate, linear, not differentiated into petiole and blade, per Weakley's Flora. 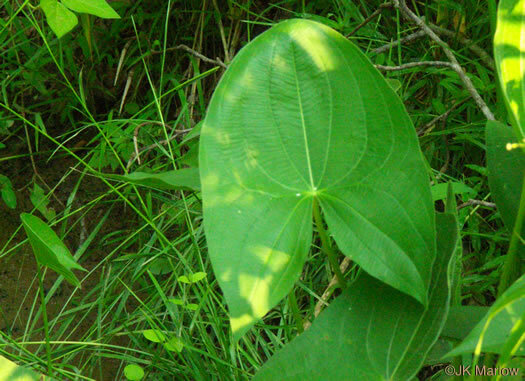 Leaves long-stalked with floating or emergent blades, per Wildflowers of Tennessee. 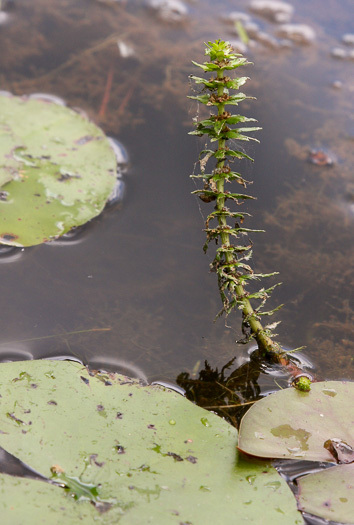 Stems and leaves near the surface look like bottle brushes, per Invasive Plants, Guide to Identification, Impacts and Control. 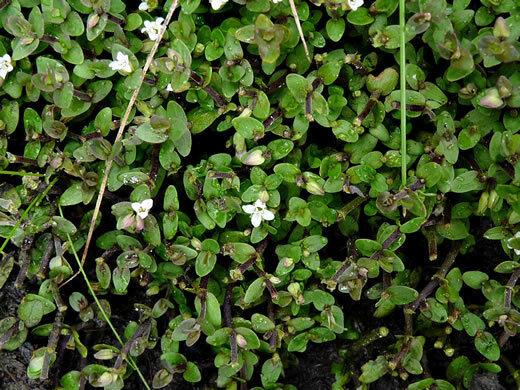 Leaves mostly 1-2cm long, with stout sharp teeth on margins and midrib beneath, per Weakley's Flora. 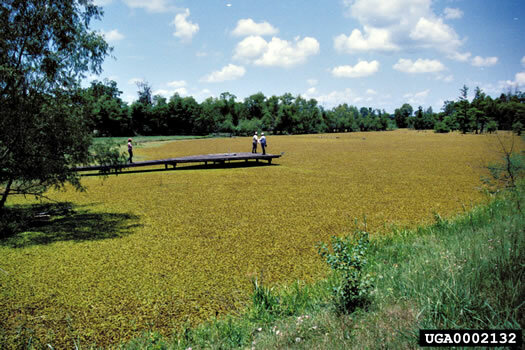 Often mat-forming, often stoloniferous, sometimes entirely vegetative, per Flora of North America. 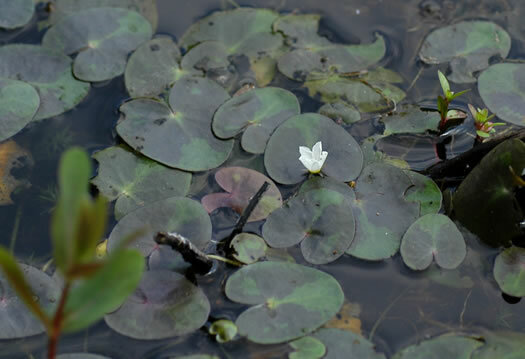 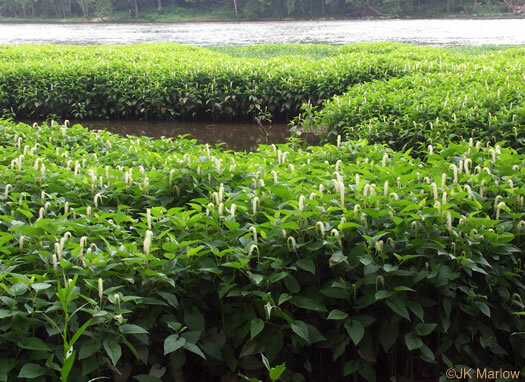 Fresh leaves are unwettable, silvery glistening if forced under water, per Weakley's Flora. 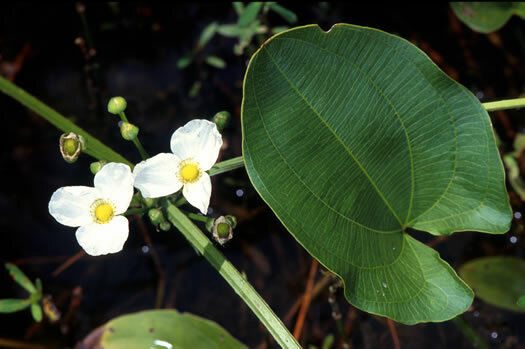 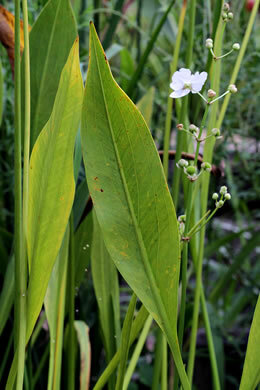 Foliage suggests that of Sagittaria latifolia, but leaves pinnately veined, per Wildflowers of the Southern Mountains. 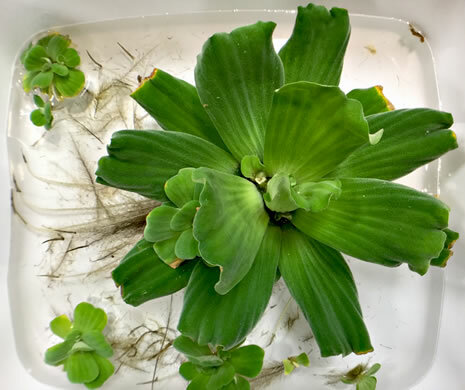 Leaves light green, thick, softly hairy, with distinct parallel ridges, per Invasive Plants, Guide to Identification, Impacts and Control. 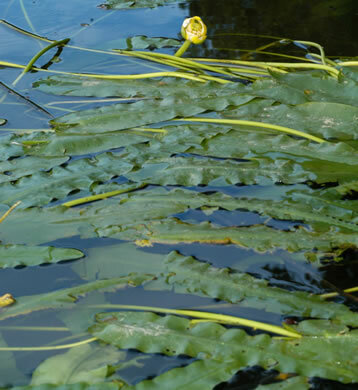 Particularly a problem along waterways, per Invasive Plants, Guide to Identification, Impacts and Control. 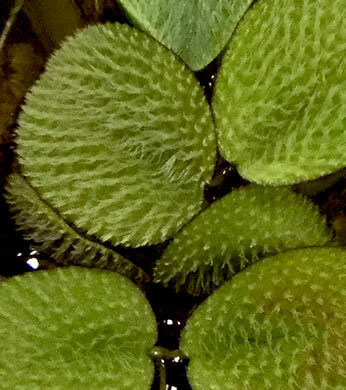 Fronds obovate to circular, flat or rarely gibbous, 1-1.5x as long as wide, per Flora of North America. 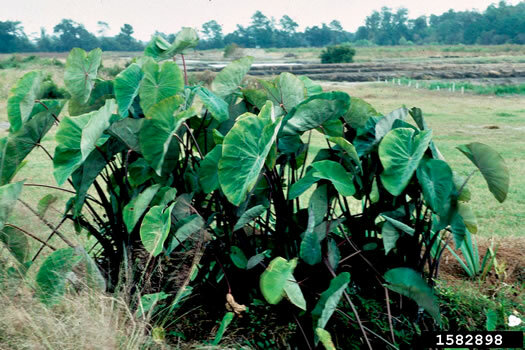 The flattened, leaflike stems ("fronds") are light green, one root per frond, per Vascular Flora of the Carolinas. 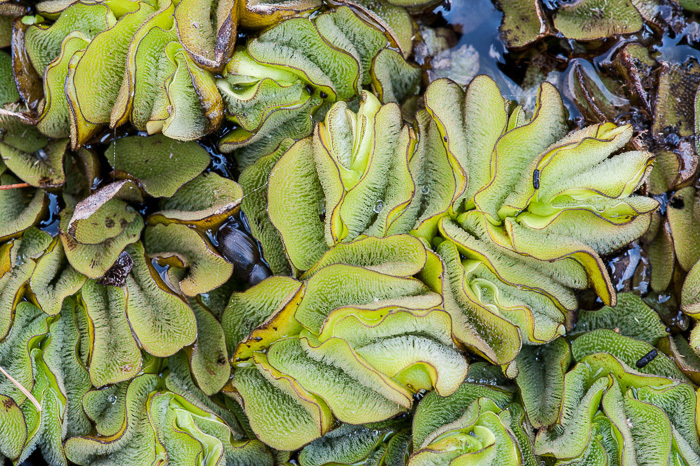 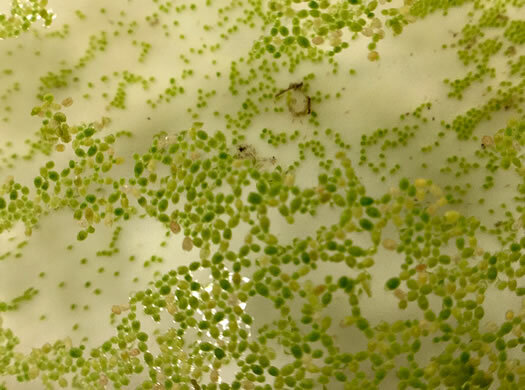 Wolffia's flattened, leaflike stems ("fronds") have no roots, per Vascular Flora of the Carolinas. 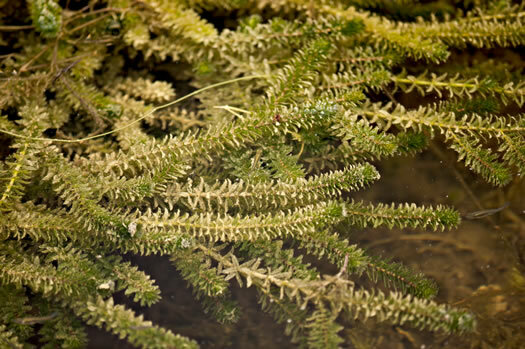 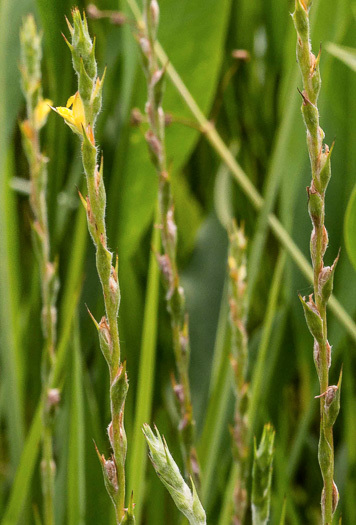 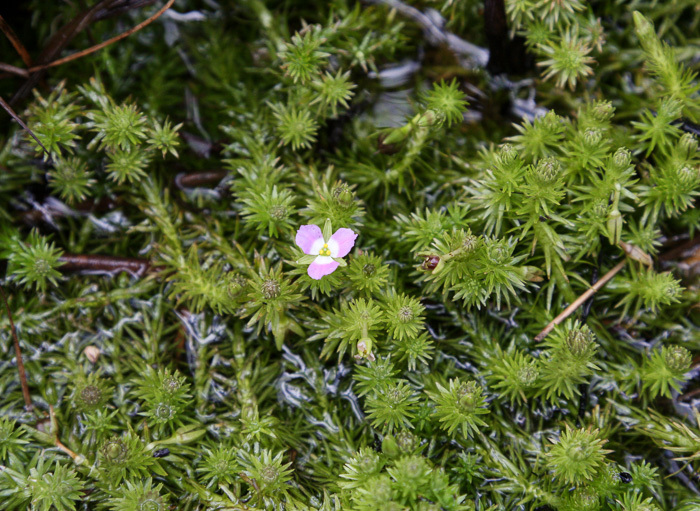 The very leafy creeping stems resemble a moss or clubmoss, hence the name, per Wildflowers of the Sandhills Region. 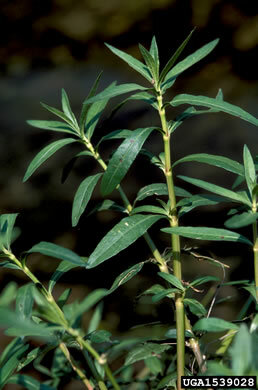 Leaves spade-shaped and curled upward on sides. 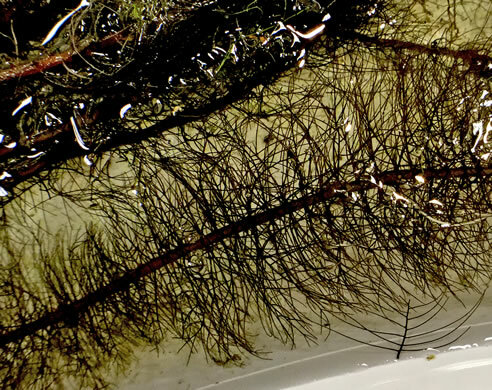 Roots feathery, floating, per Field Guide to Aquatic Plants of Alabama. 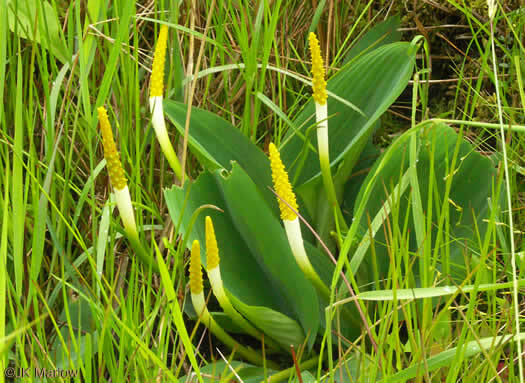 Lvs mostly ovate to triangular-lanceolate, base generally cordate or truncate, per Weakley's Flora. 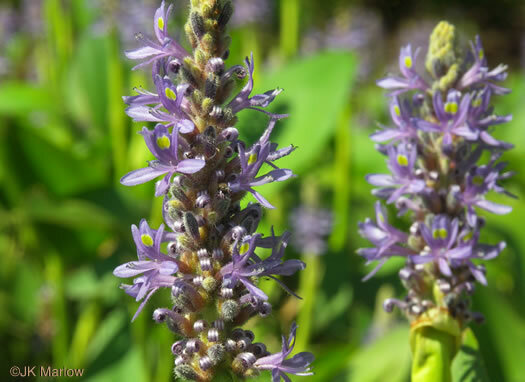 Inflorescence a dense terminal spike-like panicle, per Wildflowers of Tennessee, the Ohio Valley, and the Southern Appalachians. 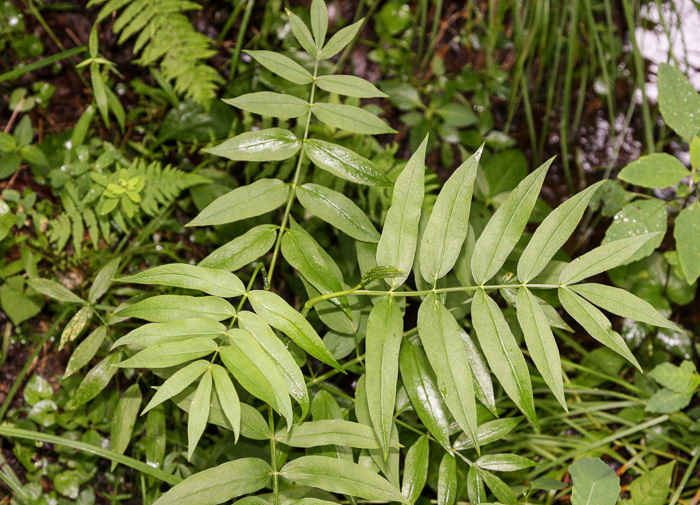 Leaves lanceolate, base generally cuneate to truncate, per Weakley's Flora. 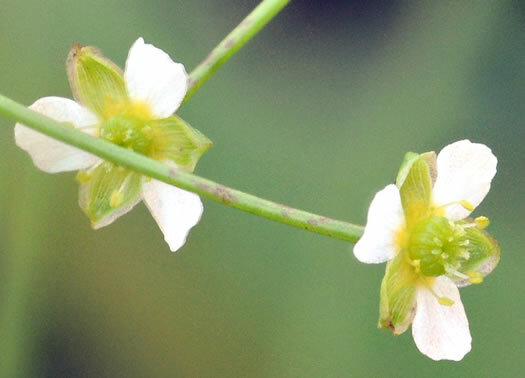 Petals & sepals [tepals] linear, spreading at nearly right angles to the tube, per Vascular Flora of the Carolinas. 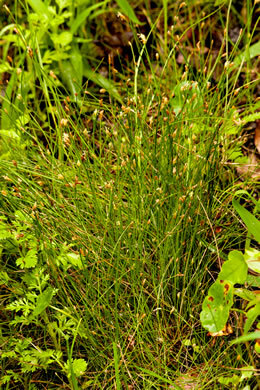 Leaves basal, linear, strap-like, surrounded at base by tubular sheaths, per Wildflowers of Tennessee, the Ohio Valley, and the Southern Appalachians. 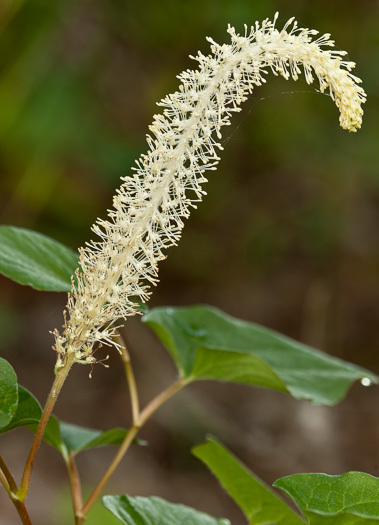 Similar to Fairywand's inflorescence, but not to its leaves or habitat, per Atlantic Coastal Plain Wildflowers. 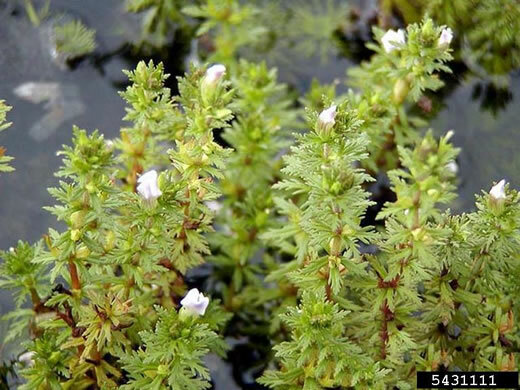 Perennial wetland herb that forms large colonies from underground rhizomes, per Atlantic Coastal Plain Wildflowers. 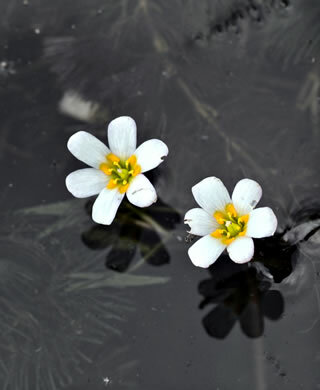 Its adaptations to differing water conditions make it quite variable, per Wildflowers of the Southern Mountains. 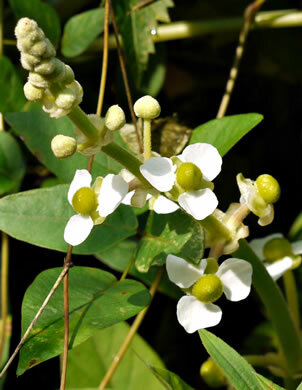 Small, white, rounded cloverlike clusters of tiny flowers are 0.5-0.7" wide, per A Field Guide for the Identification of Invasive Plants in Southern Forests. 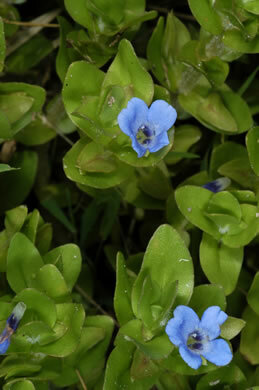 Leaves somewhat succulent, obtuse to rounded at the tip, per Weakley's Flora. 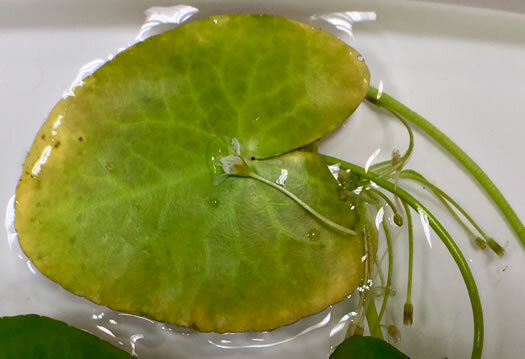 Floating leaf blades 1-2x long as wide, the sinus > 1/4 as long as the midrib, per Weakley's Flora. 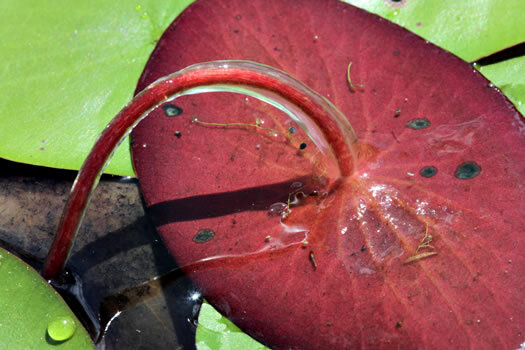 Floating leaf blades 3-6x as long as wide, per Weakley's Flora. 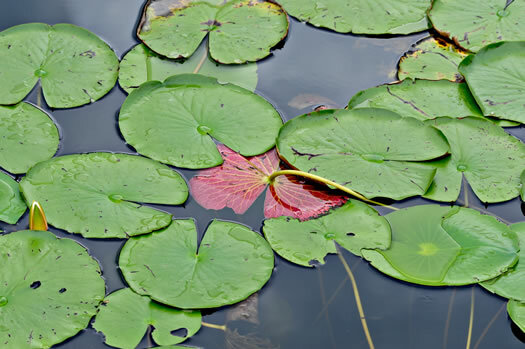 Large, 5-12", rounded floating leaves green above and often purplish below, per Atlantic Coastal Plain Wildflowers. 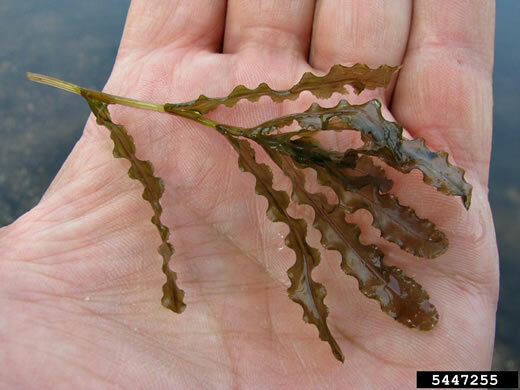 Leaves ovate to nearly orbiculate, margin entire to sinuate, surfaces glabrous, per Flora of North America. 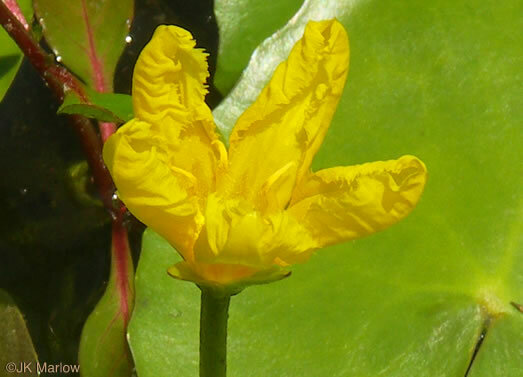 Perianth parts numerous, sepals grading into petals, stamens numerous, per Wildflowers of the Eastern United States. 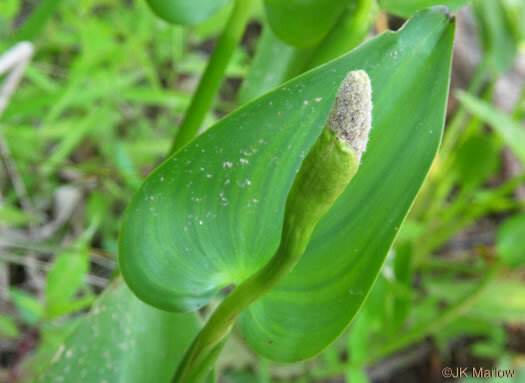 Leaf blades peltate, usually raised above the water, obicular, to 70cm wide, per Wildflowers of the Eastern United States. 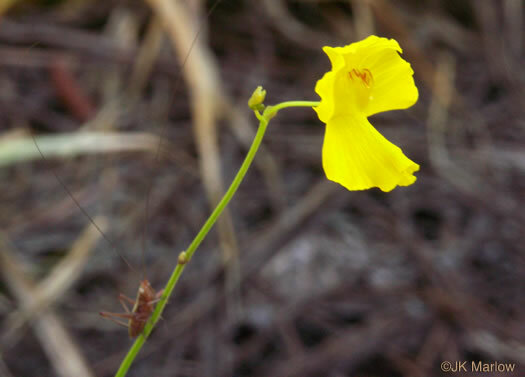 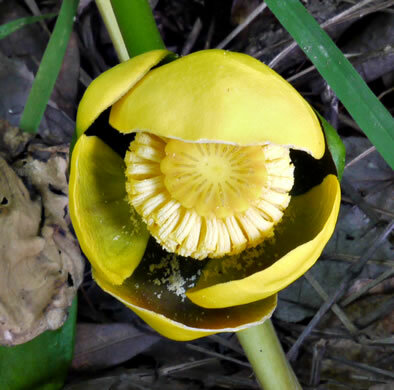 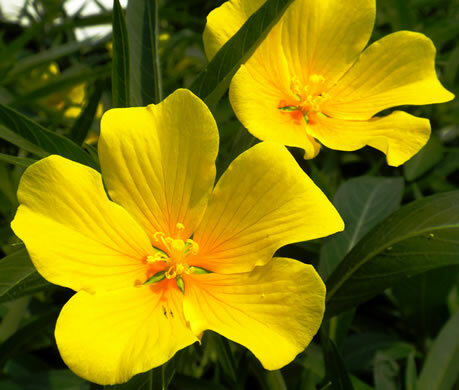 Similar to N. lutea, but the petals are pink, per Wildflowers of the Eastern United States. 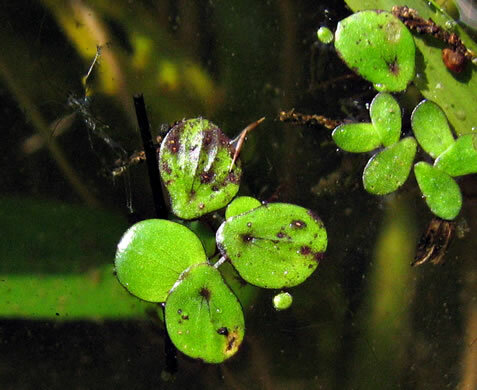 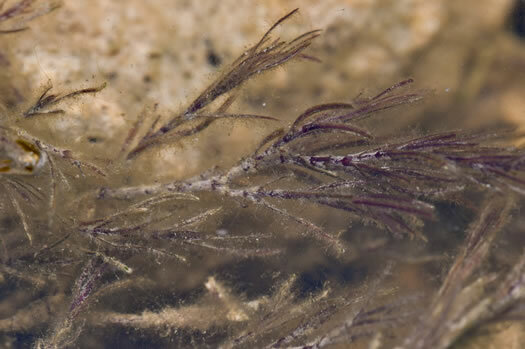 Submerged lvs dissected; floating lvs peltate(unlike Brasenia, no "jelly"), per Wildflowers of Tennessee, the Ohio Valley, and the Southern Appalachians. 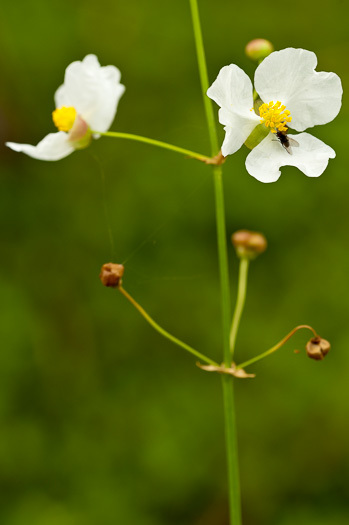 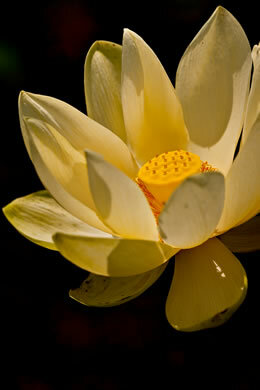 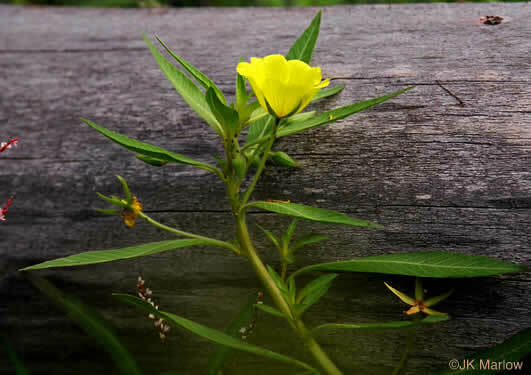 Petals are white with a yellow base, per Wildflowers of Tennessee. 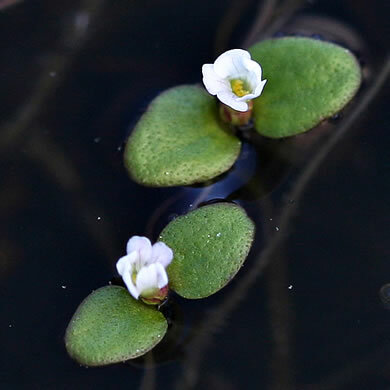 Elliptic, peltate floating leaves & mucilaginous petioles make it unmistakable, per Weakley's Flora. 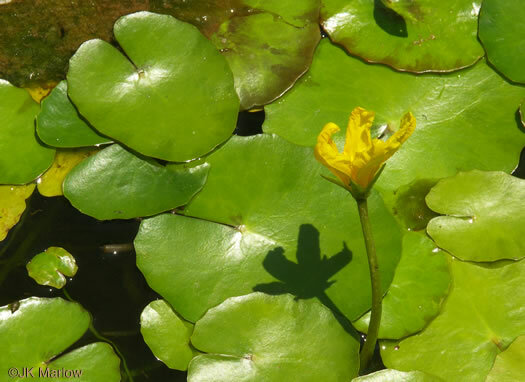 Leaf blades all floating, peltate, elliptic, not notched, per Wildflowers of the Eastern United States. 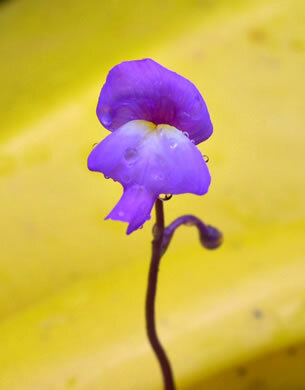 Bottom left flower functionally pistillate, center flwr functionally staminate. 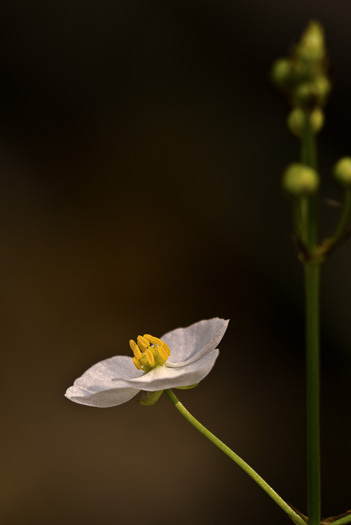 Stems, leaf stalks & leaf undersides coated with a gelatinous material, per Guide to the Wildflowers of SC. 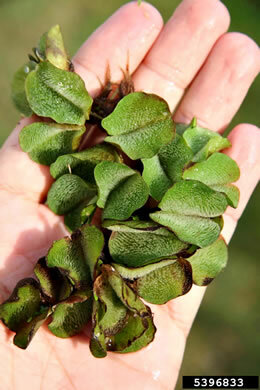 Leaf whorls 1-2cm in diam., bristles extending slightly beyond leaf blade, per Flora of China. 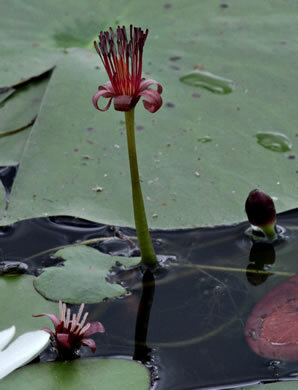 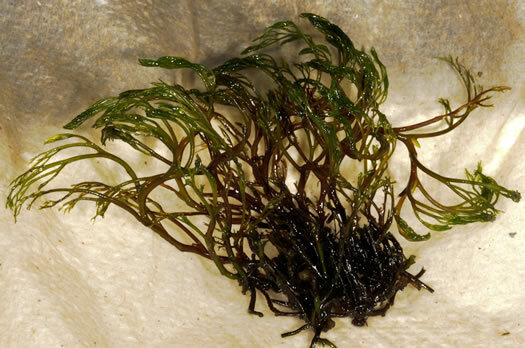 Floating & upper leaves spatulate or obovate; submersed or lower leaves linear, per Vascular Flora of the Carolinas. 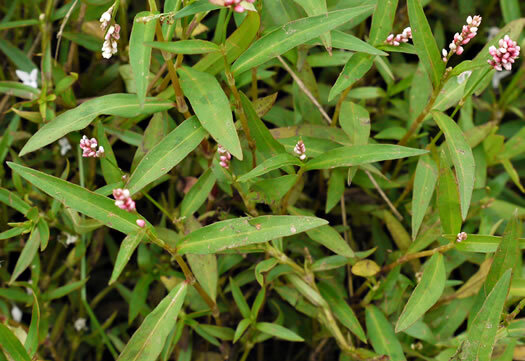 Primary leaves usually linear-lanceolate & widest below middle, per Weakley's Flora. 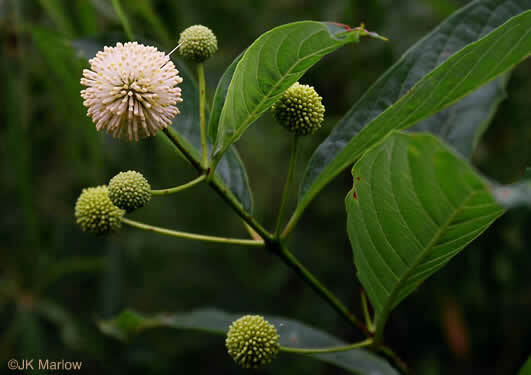 Primary leaves usually narrowly elliptic to oblanceolate & widest above middle, per Weakley's Flora. 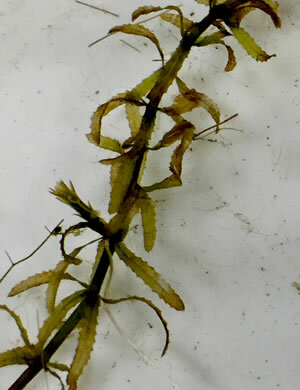 Flowers in leaf axils of emersed leaves. 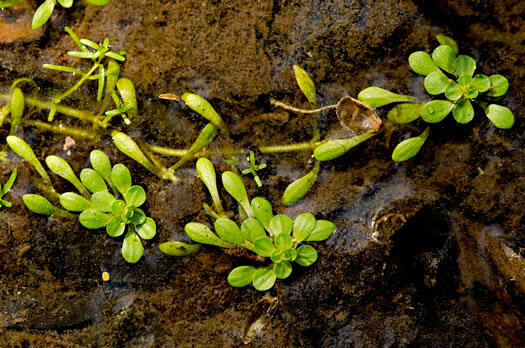 Emersed leaves serrate, per Vascular Flora of the Carolinas. 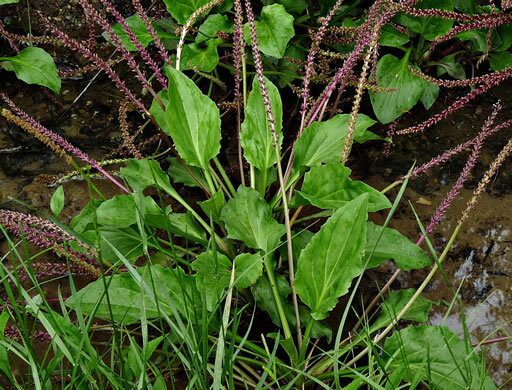 All leaves pectinate, feather-like; most leaves emersed, per Vascular Flora of the Carolinas. 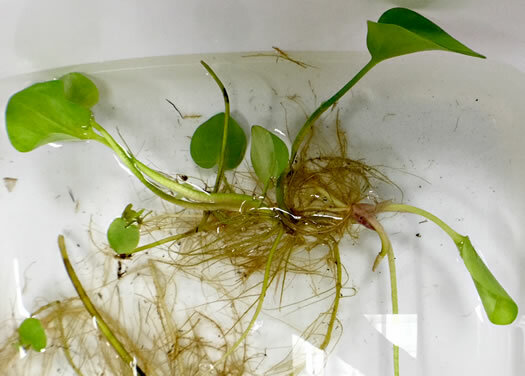 Its reddish submersed stems can be confused with M. heterophyllum when sterile, per Weakley's Flora. 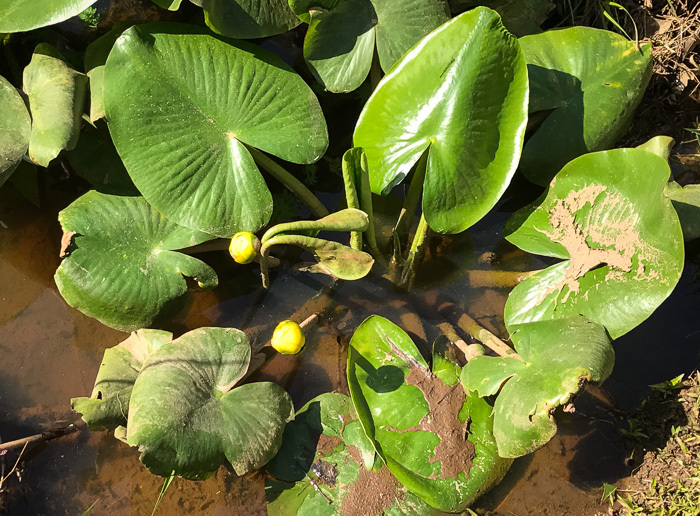 Flowers/fruits (subtended by bracts) in erect spikes emersed from water, per Weakley's Flora. 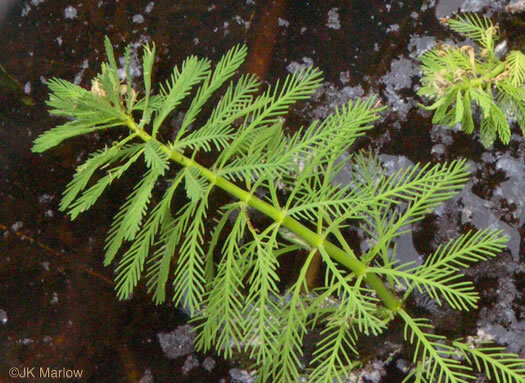 Leaves well-developed, pinnately divided with filiform segments, per Weakley's Flora. 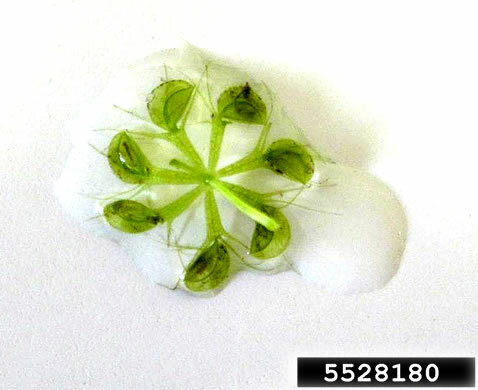 Flowers/fruits in erect spikes emersed from water, per Weakley's Flora. 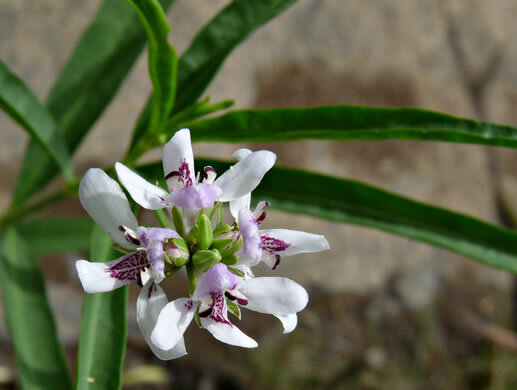 Leaflets 7-17, finely toothed (vs. Oxypolis rigidior 5-9 and mostly entire, per Wildflowers of Tennessee, the Ohio Valley, and the Southern Appalachians. 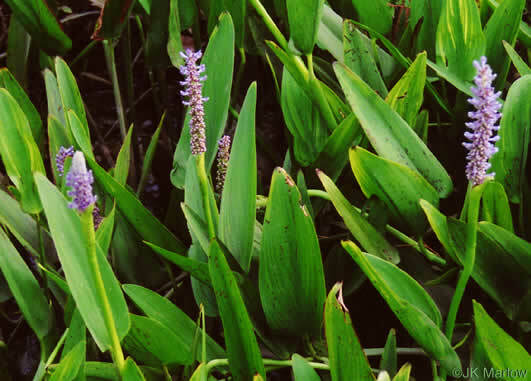 Leaves mottled green & purple above [vs. N. aquatica's entirely green above], per Vascular Flora of the Carolinas. 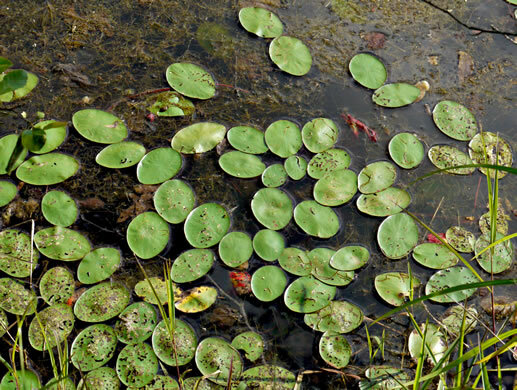 Similar to Nymphaea, but leaves much smaller and basal lobes more rounded, per Weakley's Flora. 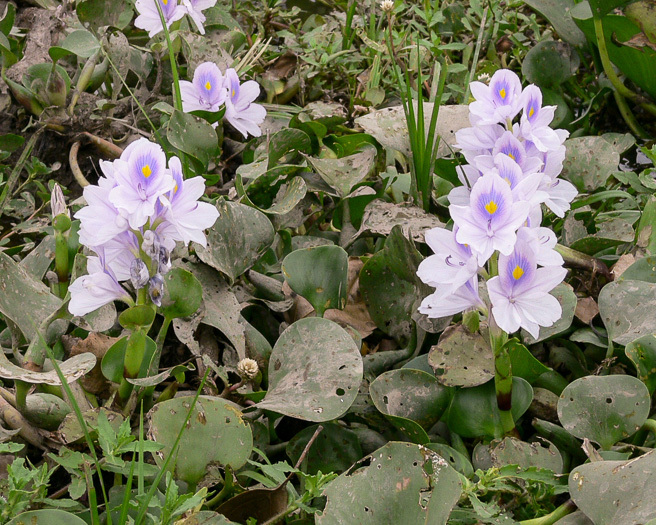 Leaves entirely green above [vs. N. cordata's variegated with purple above], per Vascular Flora of the Carolinas. 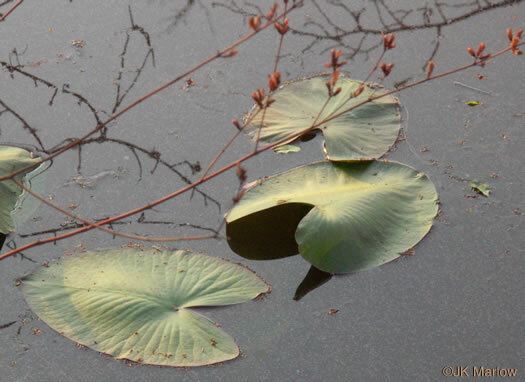 Floating stems with single leaves, per Weakley's Flora. 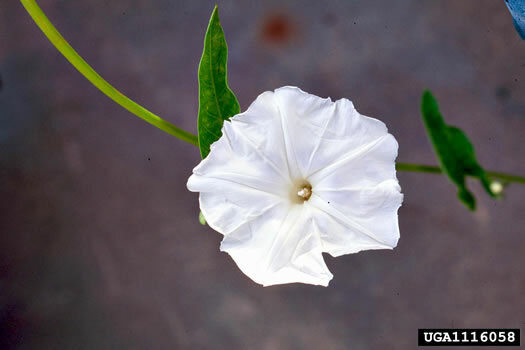 Flowers white, adaxial petal surface bearing a ruffled crest down its length, per Weakley's Flora. 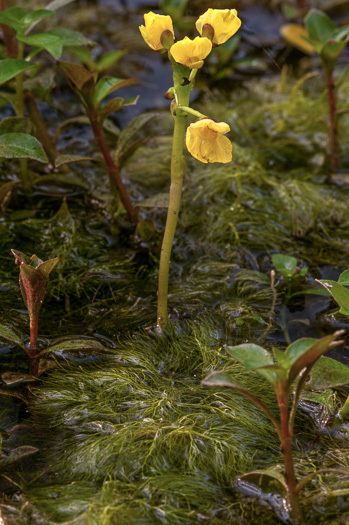 Can be a procumbent terrestrial in wetland areas or a floating aquatic, per www.invasive.org. 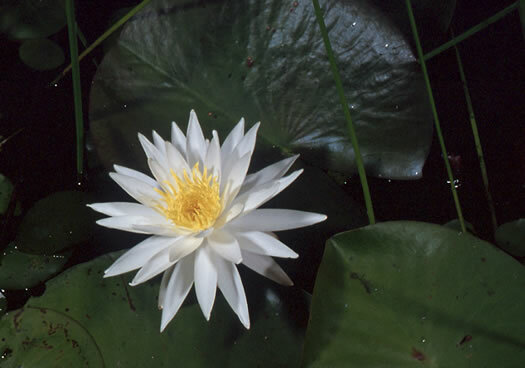 Flowers borne from leaf axils, some of which bear sharp spines, per Atlantic Coastal Plain Wildflowers. 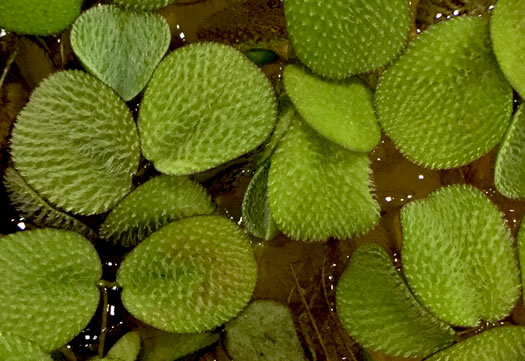 Floating leaves about 1/4" long, oval, paired; submerged leaves in a rosette, per Field Guide to the Rare Plants of Georgia. 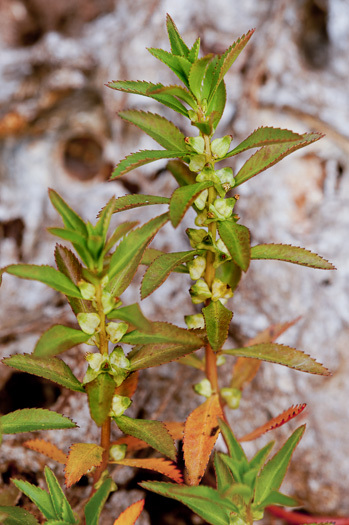 Leaves w 3-7 palmate veins and a minty fragrance distinctive among aquatics, per Guide to the Wildflowers of SC. 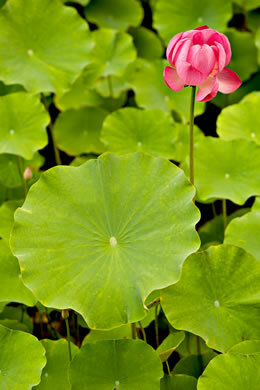 Aerial leaf blades elliptic-lanceolate, glabrous, margin crenate to lobed, per Flora of China. 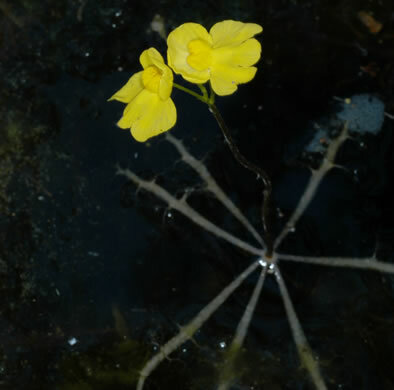 Inflated stalk & rachis form a flotation device supporting flowering stalk, per Guide to the Wildflowers of SC. 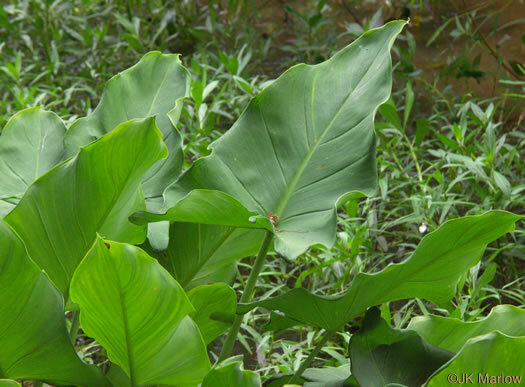 Glabrous leaves with ovate blades to 30x20cm, on ascending petioles, per Weakley's Flora. 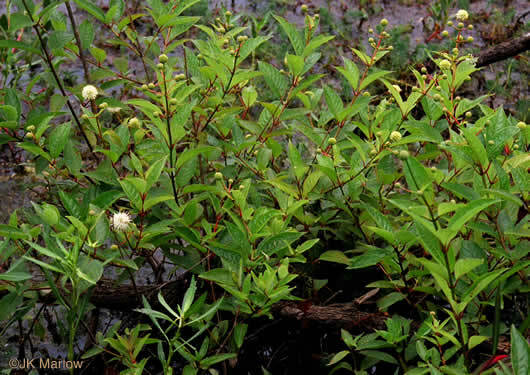 A large coarse wetland shrub, per Atlantic Coastal Plain Wildflowers.